Dust is considered an environmental contaminant. Dust particles range in size from 1 µm up to about 500 µm. Approximately 60% of dust particles come from the outside homes through vents, windows, doors and contaminated clothing and other items brought home. 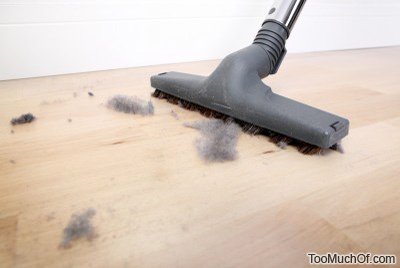 Dust becomes toxic when present in excessive amounts whether inside or outside homes. The toxicity can be attributed to both material composition of the dust contaminants and living organisms present in the dust such as molds and dust mites. House dust mites (microscopic eight-legged creatures also known as HDM) feed on flakes of shed human skin. The best approach dealing with the symptoms that arise from dust toxicity is to minimize the amount of toxins entering the body through air pathways. Taking anti-allergy medications such as antihistamines alleviates the symptoms but merely masks the dangers of the dust exposure. Furthermore, antihistamines negatively impact health if used regularly.